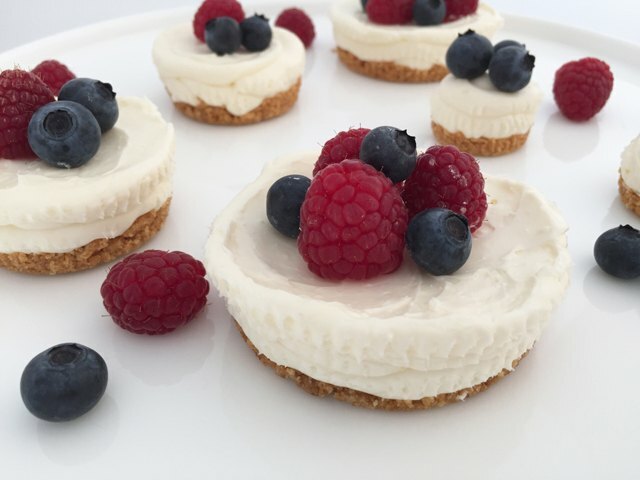 This recipe makes 20 to 24 mini cheesecakes. 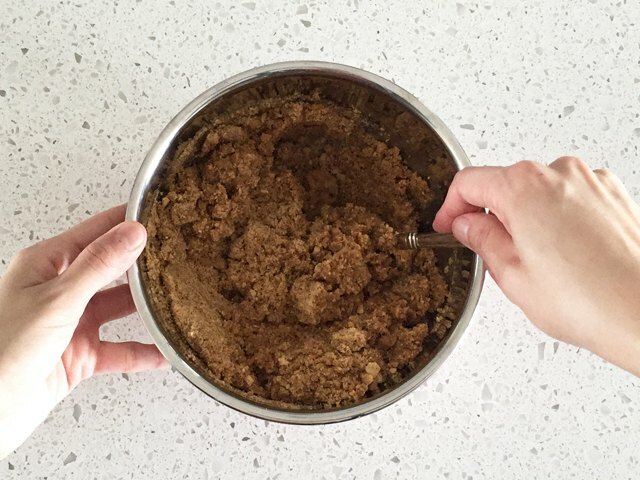 In a small bowl, combine the graham cracker crumbs and brown sugar and whisk together until combined. Add the melted butter and mix well. 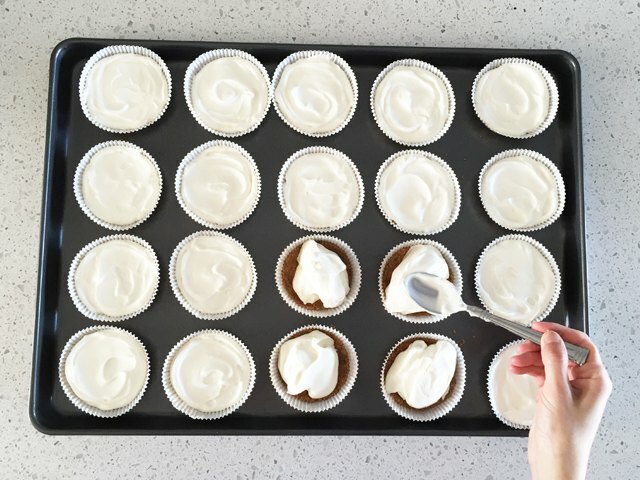 Place cupcake cups on a baking sheet and press a spoonful of graham cracker crust into the bottom of each cup. Refrigerate for 30 minutes. 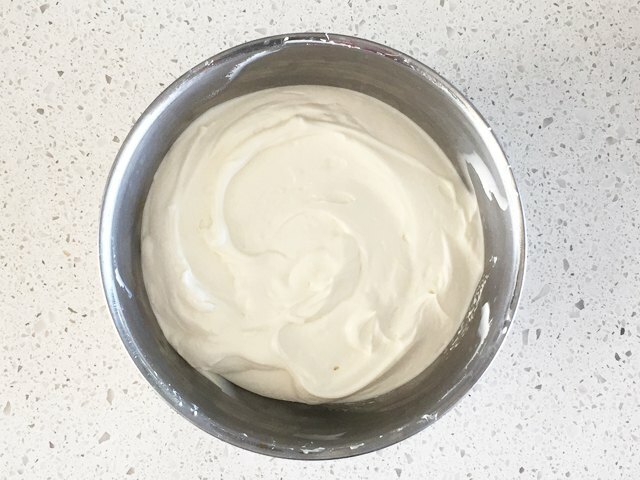 In a medium bowl, beat together the cream cheese and lemon juice for one minute. Next, add the heavy cream and sugar and beat on low until incorporated. Increase the speed to medium-high and continue to beat the mixture until it turns smooth. Scoop a heaping tablespoon of cheesecake filling into each cup and spread it evenly with the back of a spoon. Chill for at least 6 to 8 hours and keep in the refrigerator until ready to serve. Leftovers can be stored in the fridge for up to four days. 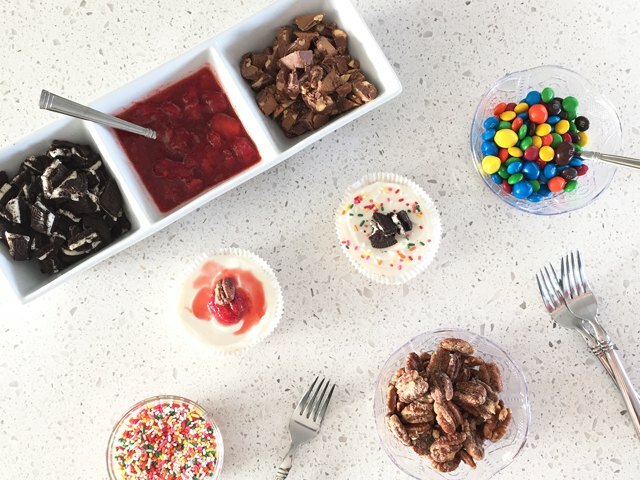 For your next party, create a cheesecake bar with assorted toppings like crushed sandwich cookies, chopped candy bars, or sprinkles. It's a fun way for guests to customize their cheesecakes without added work for the host!